Barry Goldberg has magic in his fingers. Early on, the Chicago-born keyboardist developed that magic in sessions with Muddy Waters, Otis Rush and Howlin’ Wolf; he backed Dylan in his first electric gig at Newport, played on the infamous Super Session with Mike Bloomfield, Al Kooper and Stephen Stills, and co-founded the Electric Flag. He carved out a career as a studio player, and recorded a solo catalog that began with 1966’s Blowing My Mind. He’s remained active as a producer and musician ever since, and now, nearly twenty years after his last solo release, he’s recorded a collection of blues, soul and rock that show off both his early musical influences, and the seemingly infinite reservoir of magic that still resides in his fingers. Mixing five new compositions and seven covers, Goldberg pays deep tribute to the music that primed his musical dreams. His mastery of piano, Wurlitzer piano and Hammond B-3 is matched by a musical sensibility weaned on the African-American programming of legendary Chicago radio stations WGES in the 1950s, and the Chess-owned WVON in the 1960s. The album opens with its lone vocal track, a co-write with vocalist Les McCann, “Guess I Had Enough of You.” Don Heffington and Tony Marsico lay down a heavy bottom end here, as Rob Stone’s harmonica and Goldberg’s organ add flourishes to McCann’s vocal riffing. It’s a solid opener to an album that is all about the groove. 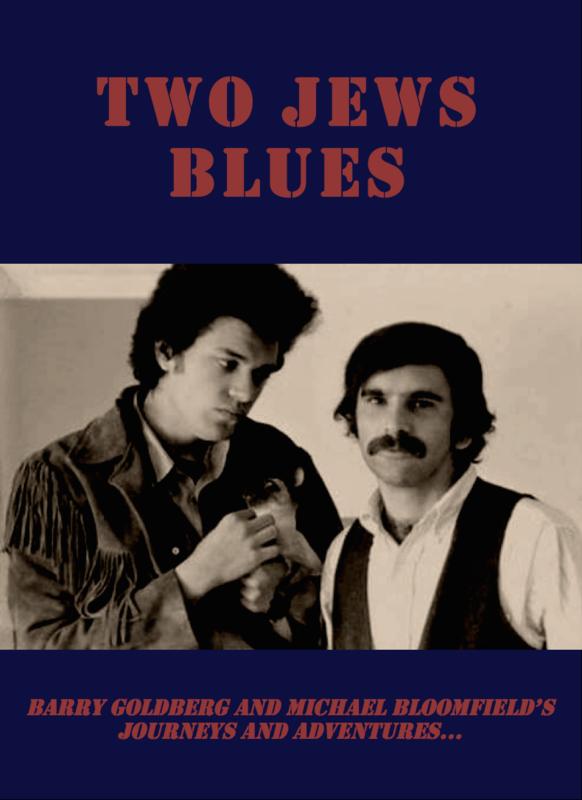 This is an exciting and engaging collection of tracks from blues keyboard legend Barry Goldberg. There’s Joe Sublett’s soulful saxophone, the whole band is tight and powerful, and the songs don’t sound all alike, which is often the case with albums of instrumentals. The one vocal, Guess I’ve Had Enough of You, is by Les McCann! Bullwhip Rock is great rock ’n’ roll, there’s blues and jazz and soul all over this work. Goldberg hasn’t put out an album for nine years, since Soul Riot!, and this one shows what a master musician he is. Jerome Blue, June 20 2018. Barry Goldberg, In the Groove. When it comes to blues keyboard players, today the list starts right here. Barry Goldberg has the kind of credentials that don't stop, from The Electric Flag to Bob Dylan (who co-produced Goldberg's early '70s album). He was all in on his latest instrumental fest, produced by former Textone Carla Olson with a who's who of the blues crew in the house. There are several Goldberg originals and a few barn-burners originated by Sil Austin, the Cyclones, Milt Buckner, and others. No matter what is being played, though, Barry Goldberg knows exactly where to go on his keyboard to find the bluest notes possible. He then twists and turns and delivers them in a way that makes the soul sizzle like only a few players still can. This isn't music that's taught in school. It was primarily taught on the streets of Chicago's South and West sides in the '60s when Goldberg was there with Charlie Musselwhite, Paul Butterfield, Michael Bloomfield, Steve Miller, and more. Over a half-century later, all went on to become masters of the blues. Barry Goldberg has waited his whole life to record this set, and there was no way he wasn't going to nail it to the wall. Blues or lose. Stephen Stills, Kenny Wayne Shepherd and Barry Goldberg return with new album. Stephen Stills, Kenny Wayne Shepherd and Barry Goldberg are back as The Rides, the super-trio that surfaced in 2013 with their debut album, “Can’t Get Enough.” Now, three years later, the band is gearing up to release the follow-up, “Pierced Arrow,” due out Friday. Goldberg keeps Chicago and the blues close to his heart as he embarks on a tour with his new band, The Rides. The Rides Complete 2nd Album!! Appearing as the Chicago Blues Royalty Review with Johnny V will be Corky Siegel, Sam Lay, Barry Goldberg and Marcy Levy, all legendary pioneers of the Chicago Blues scene who are known for some pretty exciting genre-splicing. Blues with a touch of rock, blues and classical, and even blues with electric folk—all are in these performers’ far-reaching repertoires. Saturday 4:20 PM. Buy Tickets. A premiere party and (Sweet) homecoming for the documentary film Born In Chicago is set to for Thursday, June 6 at the Vic Theatre in, 3145 N. Sheffield in Chicago, 7 pm. The evening will be highlighted by full sets of musical performances by Chicago Blues Reunion -- Barry Goldberg, Nick Gravenites, Harvey Mandel, and Corky Siegel – who will be joined by special guests including Charlie Musselwhite, Eric Burdon, Sam Lay and Elvin Bishop plus surprise guests. Proceeds from the event will benefit Chicago’s Coalition for the Homeless. Tickets on sale through etix.com. Born In Chicago documentary film screens Friday, June 7 at 8:15 PM at the Gene Siskel Film Center, 164 N. State Street, followed by a discussion and audience questions with Barry Goldberg, Nick Gravenites, Sam Lay, Harvey Mandel and Corky Siegel. Additional screenings are scheduled for Saturday, June 8 at 5:15 PM, Monday, June 10 at 6:15 PM, Wednesday, June 12 at 6:15 PM and Thursday, June 13 at 8:30 PM. Tickets on sale through Ticketmaster Ticketmaster, 800-982-2787, www.ticketmaster.com and at the Gene Siskel Center box office, 312-846-2600. BLACKS AND WHITES MADE THE BLUES! Barry Goldberg ranked No.25 on the "100 Greatest Rock Keyboardists/Pianists"
The story of American music is often the story of race -- and particularly of white boys and girls learning about music from black men and women. The tale of Elvis Presley hanging out in Mississippi juke joints is something like a gospel story in the history of American culture. Sometimes great records—for whatever reason—get lost over time. That happened with Barry Goldberg, a 1974 Atlantic Records release designed to spotlight the songwriting talent of the excellent blues keyboardist. The album is unique for several reasons. It was the only record produced by Bob Dylan for another artist. Once finished, its great Muscle Shoals sound—with Dylan himself on vocals—was stripped by Atlantic’s Jerry Wexler in a new mix—ruining the record and making it an almost invisible artifact for 35 years.